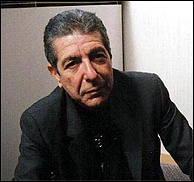 The U.S. District Court in Denver, CO, has denied defendant Leonard Cohen's motion and petition to compel arbitration allowing Agile Group, LLC and the other plaintiffs ("Agile") to pursue their claims for civil conspiracy, civil extortion, defamation and outrageous conduct in the Colorado federal court. According to the court order, Agile's claims against Cohen concern Cohen's alleged tortuous conduct, which followed a dispute between Cohen and his former manager Kelley Lynch regarding the depletion of assets from their jointly-owned company, Traditional Holdings LLC, and these claims are not covered by any of the arbitration clauses found in any of Cohen's personal investment or financial planning contracts with Agile. In his order, Chief Judge Lewis T. Babcock held that those arbitration clauses would only cover claims related to the provision of certain investment advisory and financial planning services rendered to Cohen by certain entities, which claims are not before the court. Indeed, according to Neal Greenberg, Agile's founder, Agile has made millions of dollars for Cohen over the years.